Villa Langdon Corfu. 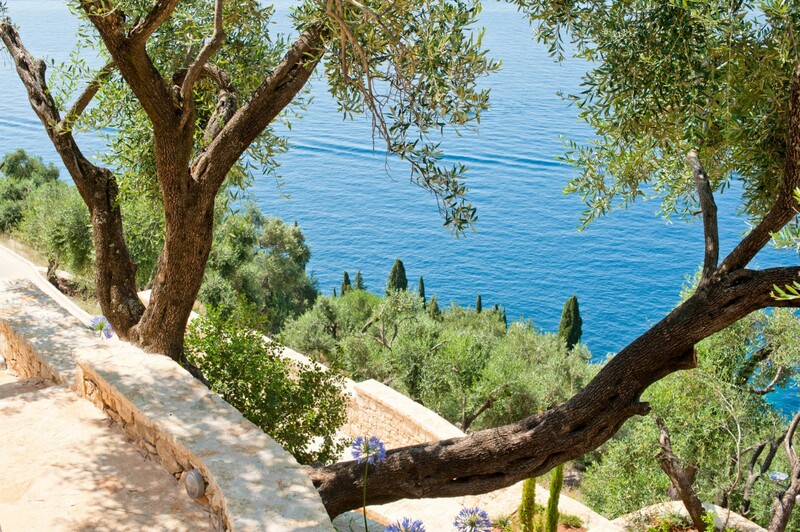 What could be more romantic than a cliff top villa tucked into a private garden? 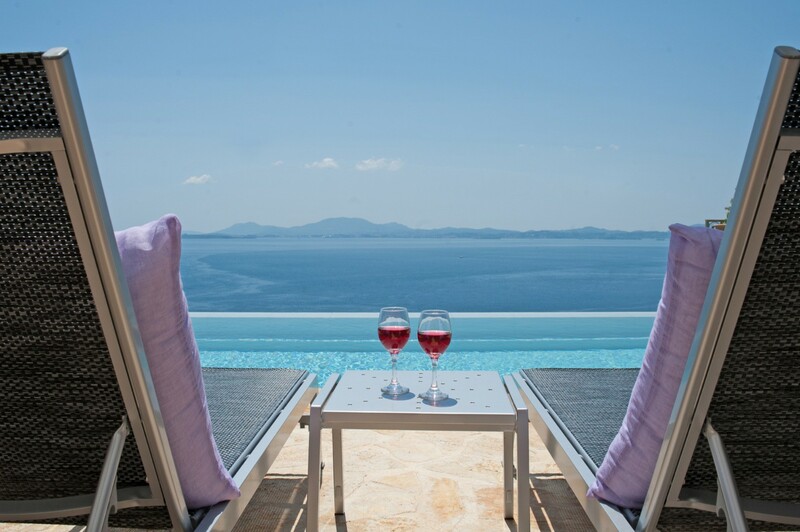 If that villa also happened to be on the picturesque and scenic Greek island of Corfu it would certainly boost the romance factor, and that is precisely what you can savor with a visit to the Villa Langdon. Within walking distance of Agni Village, it is a two-bedroom gem constructed of local stone and featuring the classic lines of island cottages and villas. Unlike many properties of its size, however, this one features a private olive grove and expansive exterior spaces. 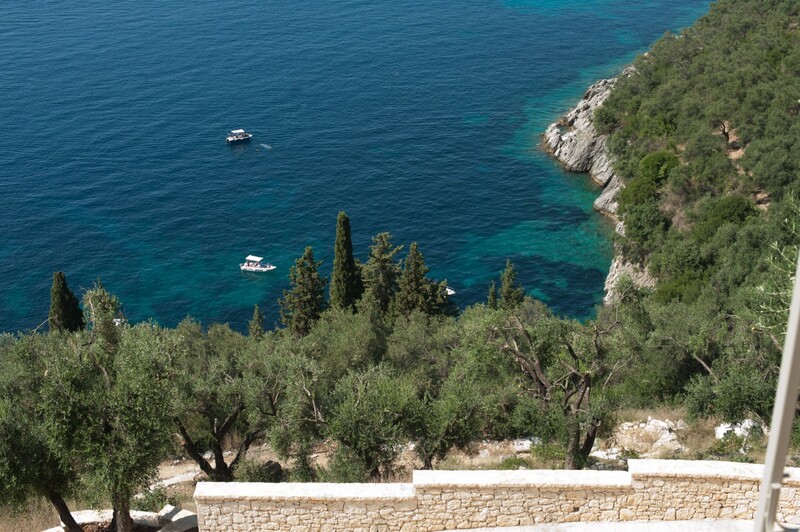 One of the most impressive is the infinity-edge pool terrace that is build right into the natural stone of the hillside. Beautifully sculptural stone walls frame this space and offer you a truly lovely spot to take in the sunrises, sunsets and starry skies - as well as enjoying a swim. 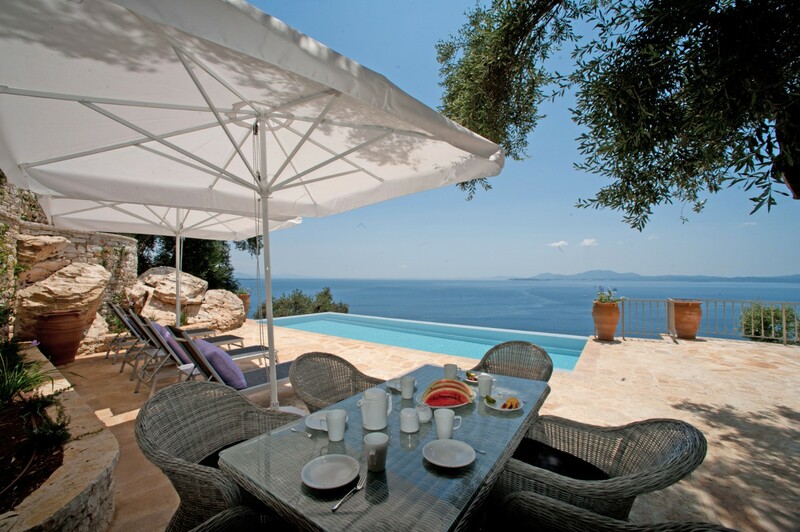 Strolling along the terrace brings you to the al fresco dining room and then to the villa itself. Step through the oversized glass doors and you can enjoy the amazing serenity of the creamy, pearl-hued palette that dominates the property. White terrazzo floors are balanced beautifully by the creamier hues of the walls, ceilings and furnishings. Bursts of subtle blue and violet are reminiscent of the gardens outdoors and the interiors include a large living room with entertainment system, a fully equipped and modern kitchen, and a charming little dining area. The two bedrooms have been positioned for optimal privacy and to maximize those amazing views. Both open to one part of the stone terrace and feature large, ensuite baths. 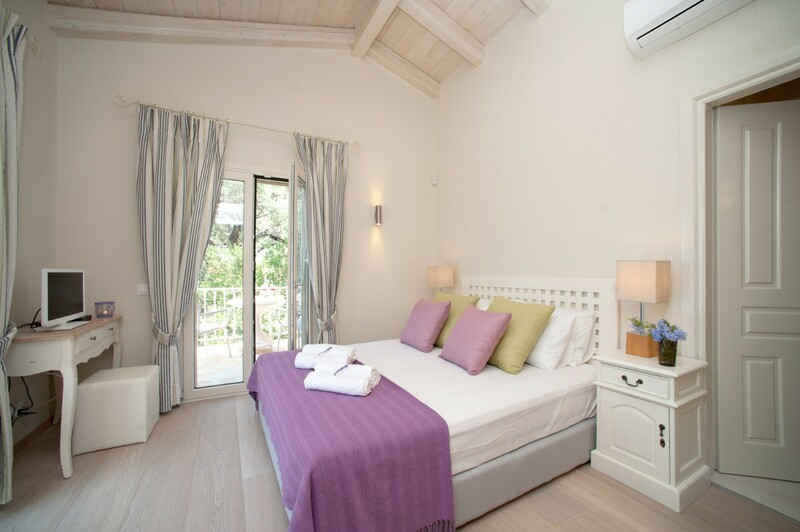 One of the bedrooms features a double bed while the other offers dual single beds. 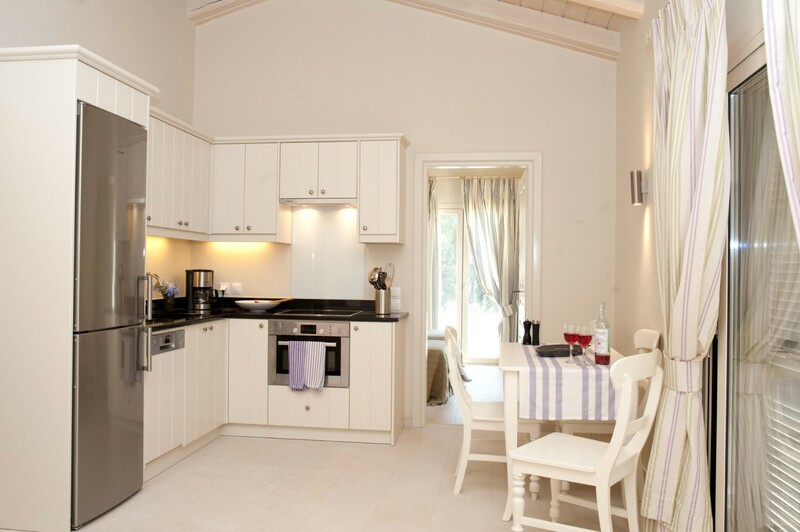 Whether for a honeymoon, romantic escape or even a getaway with family or friends, you will adore the Villa Langdon. 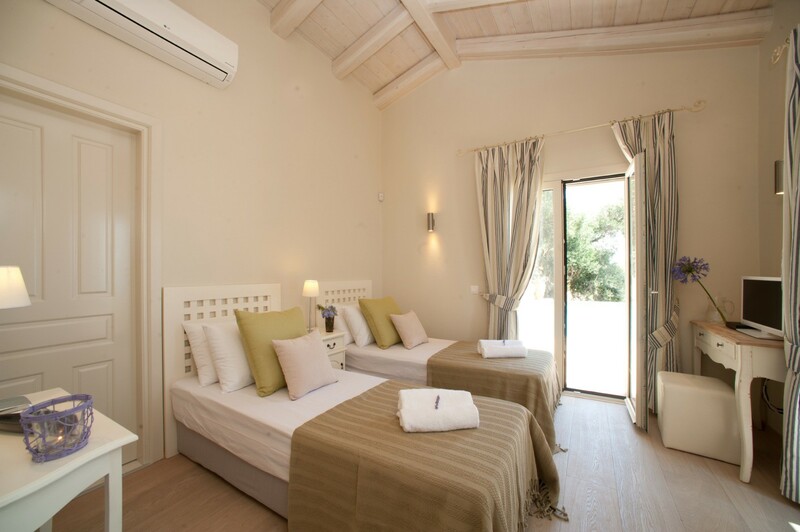 Both bedrooms are air conditioned and equipped with TV and en-suite bathroom. Bedroom 2: Bedroom with 2 single beds and en-suite bathroom. 2 guests maximum.